My church is starting a community garden! 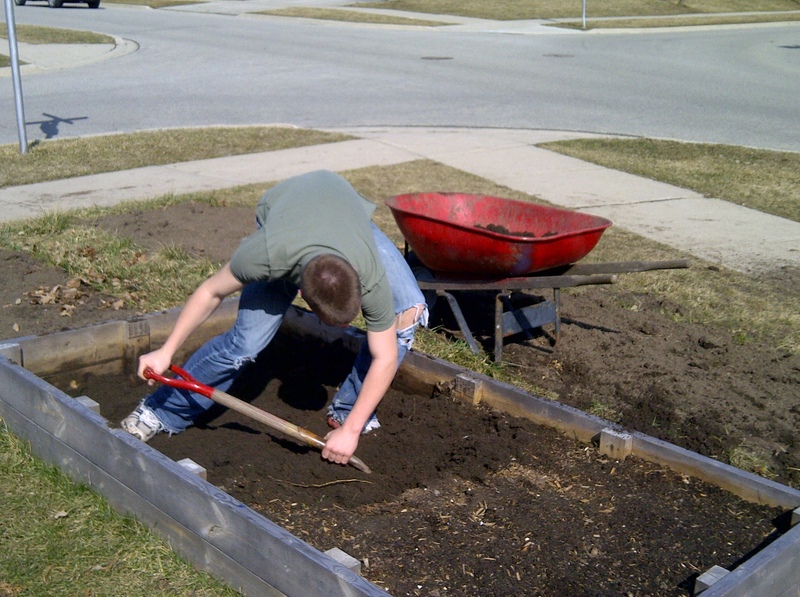 When we decided to sell our house, I knew it would be upsetting to remove my front yard vegetable boxes. Not having a plan for where they might go made it worse. Having already bought a house with a small, shady yard I knew they couldn’t go with us. I checked into beginning a gardening program at the housing development where our church hosts weekly summer BBQ’s and realized that would be a huge, time consuming battle through red tape. Then in the span of a week and a half, I was approached by two different people in my congregation. The first asked if it would be alright to start a little garden for the Sunday school. 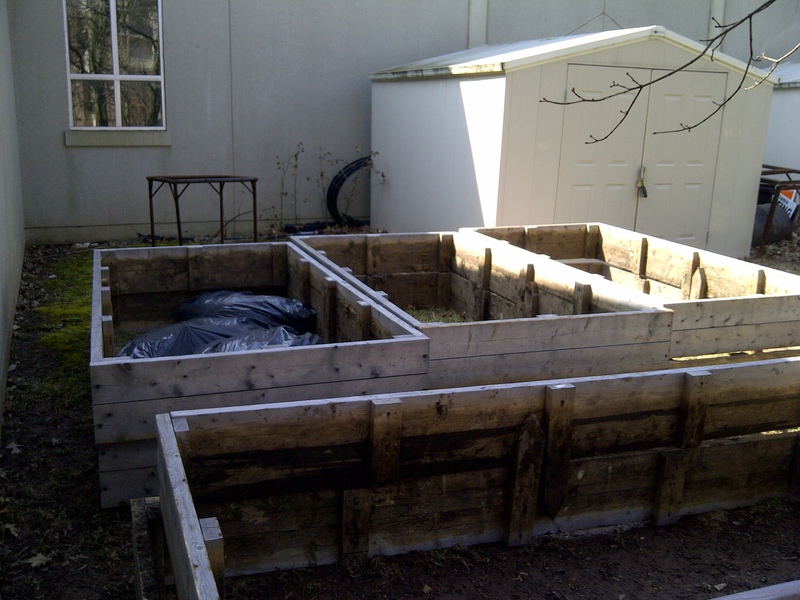 “Wouldn’t it be great for them,” she said, “to plant the seeds and watch them grow?” I responded with an enthusaistic “Yes!” and we agreed that one of my garden boxes would be perfect. Next, I was approached by a man who has taken up vegetable gardening in the last couple of years. His yard is small, so he has applied for a nearby plot in a community garden. he doesn’t know yet whether he will get one, since it is decided by lottery. “What do you think of the church having a sort of community garden?” he said. And I responded that we should definitely talk more about that. A few days later, we talked. He was excited about growing tomatoes and carrots–do you know what they charge for those at the farmers market?–and had already thought about where we could place a garden on church property. When I asked if my front yard boxes would be helpful, he looked at me strangely. “You mean you have them already, and we could use them?” Somehow, there was one person in my neighbourhood who had not yet heard about my gardening blues. So last Tuesday evening, he presented the plan to our elders. Soon they had agreed to nine wooden garden boxes on church lawn; Sunday School children would get the first one, and then families could sign up for their own. Each family would be responsible for their own plot, and would be asked to make a donation to the church in exchange. Our shed would need a combination lock so that anyone could store their tools, and we would need to procure good soil to fill boxes. We began to advertise the next day. 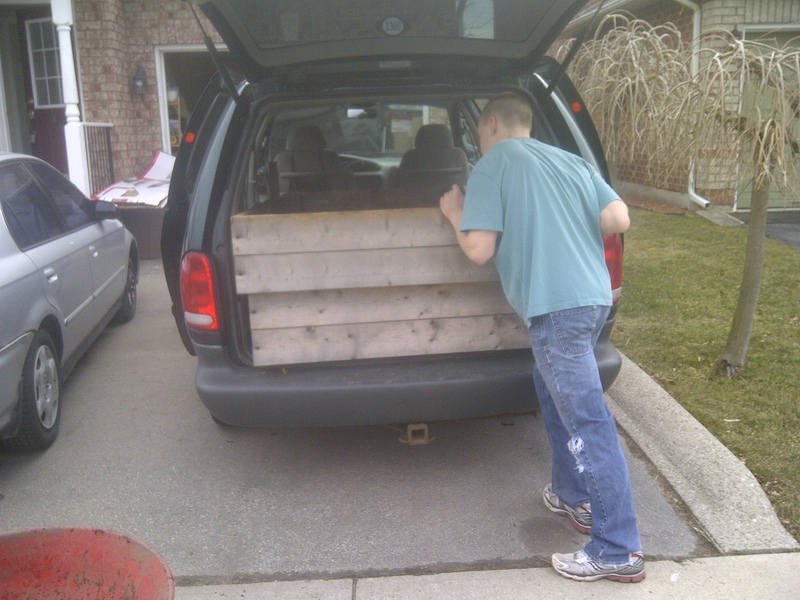 My oldest son A. continued to remove the soil from the boxes at home and we began moving them to the church, two at a time in the back of our van, before stacking them until they are ready to be permanently placed. Now there is a spring in my step. I am rejoicing on two counts: my boxes have a new home where they will soon be put to good use, and my congregation has begun to help people grow healthy, wonderful food. I may not have mentioned it, but I have already signed my family up for one box. A girl needs somewhere to grow her tomatoes! 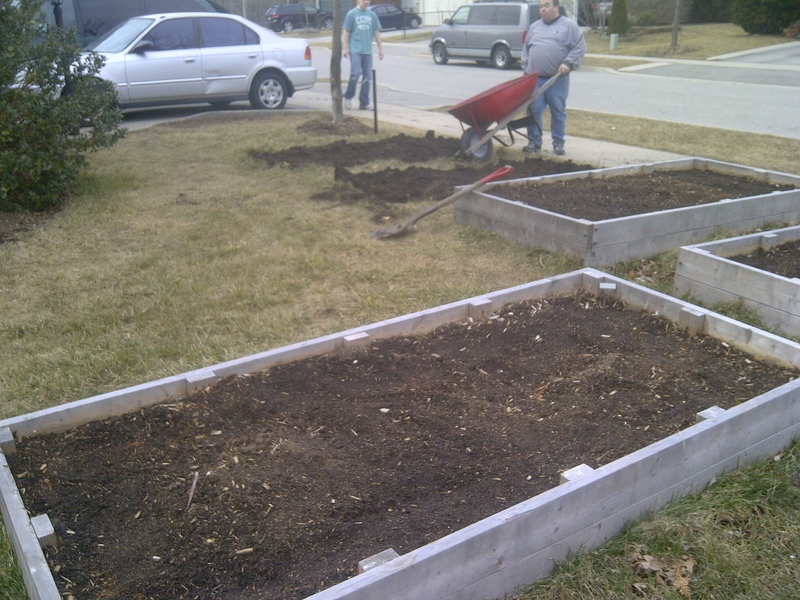 2 Responses to My church is starting a community garden! This is fantastic news!! Looking forward to seeing it!